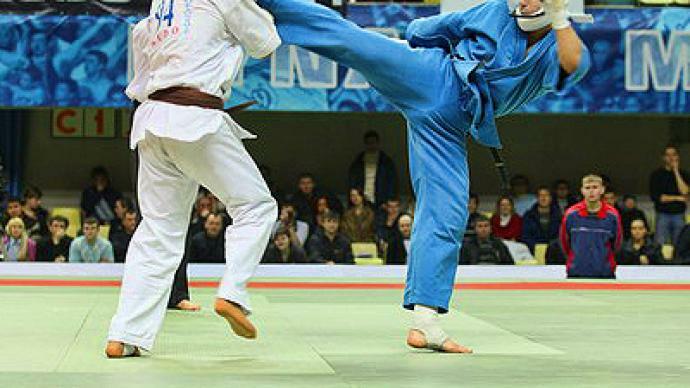 It is fast, furious and one of the fastest growing martial arts in Russia. It is also one of the planet's youngest martial arts combining a number of ancient fighting techniques. With the World Kudo Cup coming up this weekend in the Russian capital, RT’s Robert Vardanian explains more about the sport. Most martial arts have histories that stretch back centuries. This one, however, is just 30 years old. The mixed martial art of Kudo, also known as “furious karate”, claims to have incorporated all the major fighting techniques – punches from boxing, kicks taken from muay thai, throws and submissions gained from judo, sambo and jiu-jitsu. That is how the human body turns into a perfect tool of unarmed self-defense according to the Kudo handbook. 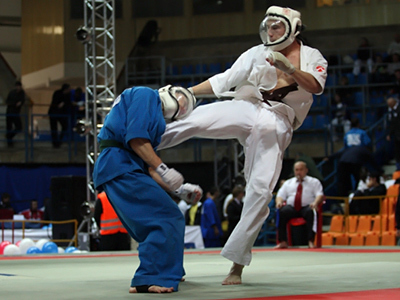 The sport was founded and developed in Japan, although it is Russians who have dominated the Kudo mat in recent years. In particular, the country's undisputed five-time world champion Sergey Arzhakov. RT caught up with him demonstrating his stunning combat skills in downtown Moscow. Moscow was spoiled further on Thursday when the originator of Kudo touched down in the capital. Takashi Azuma, 1977 full contact world Karate champion, who left one great martial art for the sake of creating a new one, came into town to examine Kudo practitioners from all over the globe and to witness the best in the sport settle scores at the World Cup on Saturday. “Actually, Kudo is just what fights looked like in ancient times. This is how fighting history began…with all aspects involved. Later, this ultimate martial art gave birth to various styles like judo, aikido, karate… But the point is that every real fight includes all those elements applied in Kudo.So we are just trying to breathe new life into the ancient martial art,” explains Azuma. If you would like to see just what Sensei Azuma was talking about, and you are in Moscow, drop into the Kudo World Cup over the weekend and see talk turned into action. Otherwise, expect the event's highlights here on RT’s website on Monday.